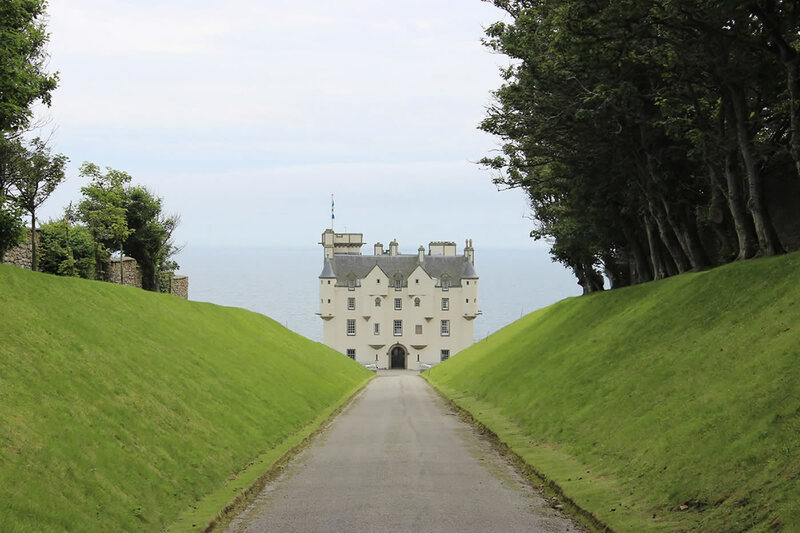 North of Inverness you will discover Caithness and Sutherland, two counties that covers an area from the east coast to the west of Scotland of Highland Scotland. At the far top right corner of the Scottish Highlands is the county of Caithness, an ancient land lived in by the Picts and invaded by the Vikings. Explore the far north of Scotland in pictures and maps and plan your next visit to Scotland and the Highlands of Scotland. Shop for books, maps, camping gear - well everything on our Amazon shop. When you visit Caithness and Sutherland you will discover stunning scenery making this area a perfect place for holidays for all the family. As the countryside and landscape varies from high rugged and remote mountain ranges and wild places,to crofting and farming communities and fishing towns and villages. The area has a fascinating range of old castles, remnants of pictish settlements, standing stones, and brochs along with the more recent effects of the clearances with abandoned villages and houses now long empty. Caithness and Sutherland has enough to keep most adventurers busy for several weeks and for people lucky to live in this area of Scotland the ever changing seasons and weather offer a new perspective on the area with every movement of the clouds and ray of sunshine. It is indeed a magical area and we you are very welcome you to visit the area and enjoy the beautiful scenery, historic buildings and some of the loveliest beaches in Britain. This website offers a personal insight into the beauty and landscape of Caithness and Sutherland, mostly a photographic journey which we hope you will enjoy and give you a longing to visit this area of the far north of Scotland - Caithness and Sutherland. Scotland - travel, holiday accommodation and more on Scotland. Scottish Highlands - travel and tourism guide to the area of Wester Ross around Camusnagaul. Photographs unless stated were taken by the web developer. All photographs are his copyright - any use of pictures from this website should be done under a Creative Commons 3 licence with a clear website link back to http://www.caithnessandsutherland.com - thank you. You can find more of our photographs on our Pictures website.